3D movies are in trend. We all love to watch 3D movies at the cinema hall and home theater. The technology that helps us feel the illusion of 3D world is the 3D movie projector, which projects 3D images on a bigger screen making us feel the real 3D world. 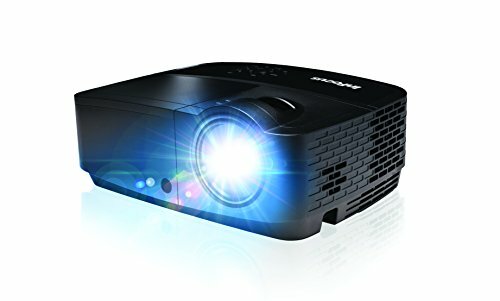 Best 3D movie projectors are full HD projectors that support different types of resources, such as Blu-ray disc player, smartphone, and computer making it easier for us to project 3D images. Blu-ray disc player is the most common media that we can use with the best 3D movie projectors in a home theater to have all the fun watching 3D movies at home with friends and family. All major brands like Samsung, InFocus, BenQ, Sony, etc. have their best 3D movie projectors available in the market in DLP, LCD, and LED technologies. Hence, you can buy one as per your taste and budget. Whereas DLP projectors are cheaper than LCD projectors, LED projectors are the costlier of all. 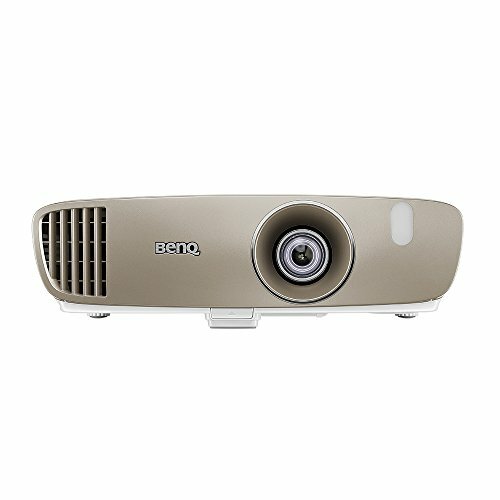 For the best picture quality, lamp life, weight of the projector, and design LED projectors are the best, but for a budget-friendly 3D movie projector, DLP projectors are good to go. Projectors especially made for movies are great. And 3D projectors are greater. But the amalgamation of both of these utilities into a projector is just majestic. And it’s apparent that you seek one such majestic projector for full-throttle entertainment. And from the five projectors mentioned above, one is going to be yours, very soon. On comparing, we found that the BenQ HT2050 and Epson Home Cinema 2045 are like brothers from another mother in terms of specifications. But then the most significant difference between these two is that the HT2050 uses 3D DLP projection whereas Epson 2045 has 3D 3LCD projection. The lumen count of 2200 is same for both the devices , but the 35000:1 contrast ratio of Epson Home Cinema 2045 is far better compared to the HT2050’s 15000:1. But then the 1080p resolution is what’s common again. So you can expect the 3LCD picture to be a tad bit sharper. While the All-glass cinema grade lens and RGBRGB color wheel which are parts of the BenQ 2045 can easily beat the Epson 2045 in color contention. Also, for quality sound, the BenQ comes with 10W CinemaMaster Audio speakers, which basically mean you don’t have to buy external speakers unless you are trying to blow your roof off. Connectivity offered by these projectors has all the basic HD provisions, but lack MHL, barring you from connecting your smartphone. Looking up for wireless projectors with a satisfactory performance? We have something better in mind: the Optoma HD142X and Optoma GT1080 Darbee, both of which let you wireless control your world. Presentations are fun again! Both the projectors have 3000 lumens to woo you away from their flawless brightness and have great contrast stats; 23000:1 for HD142X and 28000:1 for GT1080 Darbee. The GT1080Darbee is also quite popular among gamers because of its ultra-short throw of 0.49:1. For color management, REC 709 color space has been used to make them richer and deeper by every pixel. Connectivity has been augmented with features like MHL, HDMI, USB, VGA, RS 232, Audio out and 3D sync. 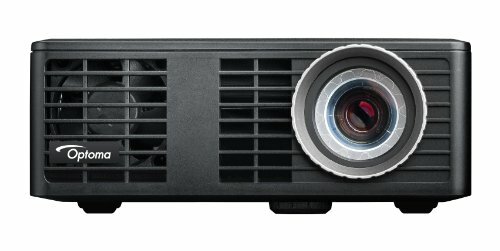 With 3300 lumens ViewSonic PJD5155 SVGA Projector is apparently the brightest, but does it have the most distinguishable picture? We think not, because of its 20000:1 Dynamic Contrast ratio. Colors are good enough to please you; thanks to its SuperColor technology and 6-segment color wheel design. Lurking somewhere around the $300 mark, this projector has an SVGA 800 x 600 resolution. Sadly, it doesn’t entertain a 1080p signal, but does its best with what it has. You cannot stream your smartphone through this projector but it has rest of the aspects covered, with Mini USB, HDMI, VGA, RS 232 and Audio port. The SonicExpert Technology is behind its excellent audio deliverance, which has resonance chamber to amplify the sound with lesser resources.